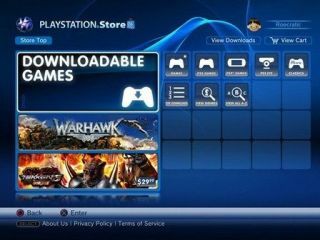 Sony to charge for cross-game chat on PSN? Cross-game chat could be a feature of the restructured Playstation Network (PSN), but with a catch – you'll have to pay for it. The Official PlayStation magazine in the US has stated that cross-game chat is definitely on the cards but it could prove costly for users, noting: ""Aside from the 3D goodness, cross-game party chat is the obvious 'next big feature', even though it might be restricted to paid [PSN] subscribers." The article also stated: "Sony's current service is one of the PS3's best features, so we'd begrudgingly welcome a revamped PSN with extra subscriber functionality, like cross-game-chat and exclusive PSN downloads." The magazine also lists its predictions for 2010, saying there was a 75 per cent chance of dedicated cross-game voice chat being implemented, probably in late spring. Cross-game chat is something that Xbox Live subscribers have long enjoyed, at no extra cost – though getting on Xbox Live does cost. To make it viable, Sony will have to come up with something special. Sony's certainly made no secret of the fact that it's considering PSN paid subscriptions, although the company has stressed they would only be for new features, not items that are currently free. It's believed the subscription services could include unlimited access to PS1 and PSP games on PSN.